Samantha Jade looked stunning winning X-Factor Australia 2012 on Tuesday, but it should come as no surprise – did you know she is one of the make-up artists at Make Up Store Australia? Maria Gabriel, Creative Director and General Manager of Make Up Store Australia, gives the low-down on how to get Samantha’s winning look. For the stage, your make-up base needs to be perfect, otherwise the lights and cameras can leave you looking washed out. Create the perfect canvas start with ‘Skin Serum’ which works to prime and protect the skin from your heavy make up application. Once the skin is primed, apply a layer of oil-free foundation, such as ‘Matt Foundation’. The absence of oil in the formula helps to keep your skin from appearing shiny. ‘Dual Foundation Powder’ this will ensure a long-lasting base. The easy way to achieve a glowy look with such heavy make up is to apply Make Up Store’s ‘Wonder Powder’, with its mother-of-pearl pigments this really does make you appear naturally fresh. For a touch of warmth, apply ‘Blush’ in Passion to the apples of the cheeks. Samantha’s eye make up was amazing and the main feature for her look. To keep dark eye make-up in place, it is always smart to apply ‘Eye Primer’ on top of your skin primer. This sets an even base and allows the coloured pigments to really stand out. follow with a wash of ‘Glitter Eyeliner’ in Dark Sapphire across the lid for a sparkly base. some warmth while not being too bold. our pick to match Samantha’s look is the appropriately named shade, Pretty. 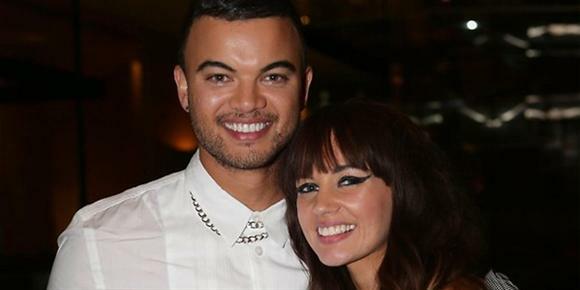 Are you a fan of Samantha Jade’s X Factor Finale make-up?